Q&A: What color options are available on the 2018 Mazda CX-5? Question: What color options are available on the 2018 Mazda CX-5? 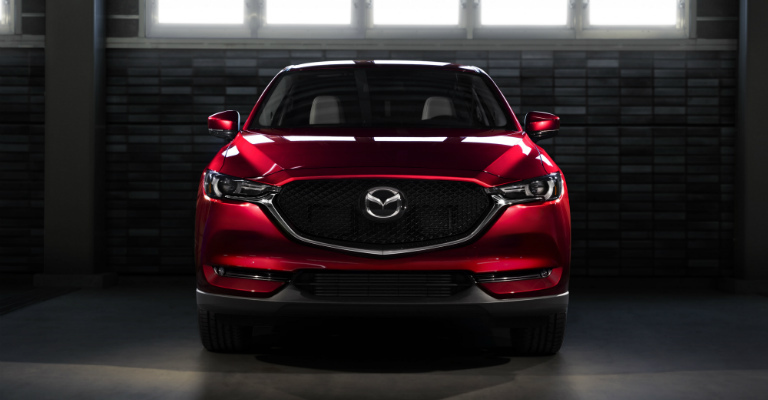 The 2018 Mazda CX-5 offers a wide range of beautiful color options, with stunning metallic shine and unique colors that put the competition on notice. Below is a list of the available exterior color options available by trim level on the new CX-5. As you can see, the Deep Crystal Blue Mica and Machine Gray Metallic are not offered on the base Sport trim--only on the Touring and Grand Touring model.